When Christians talk about having a "personal relationship with Jesus," what does this mean? Christians believe that Jesus is alive, he knows us intimately, and is our best friend above all others. A personal relationship with him is exactly that: a relationship very much akin to that we have with other close friends and family members. Often people focus on the majesty and "kingliness" side of Jesus, and in doing so are tempted to distance themselves from him by seeing him as some distant, untouchable, unreachable figure on a throne high above us; but to have a personal relationship with him means to accept our own position as co-heirs with him, to share our lives much more openly with him. As a Brit, when I meet (earthly) royalty I dress up and put on my best manners, and in effect put on a show. I don't need to do that with Jesus - he's seen me naked, in my own home, he shares my ups and downs and secrets that I certainly wouldn't blurt out to the Queen if I met her. So while acknowledging that Jesus is King, I don't treat him in a stand-offish formal way because he's also my best friend. That's what it means to have a personal relationship with him. It all boils down to this: God is a personal god. In order to get this as a concept, you have to pull back and take a look at it in light of other religions. If you look at other religions, you see gods who do not care about individuals. In other religions the goal is to please their god(s) enough to be accepted into heaven. The love flows one direction: towards the god. Jesus, however, is different. He comes to each one of us personally. He reaches down and speaks to each of us individually and relates to us on a personal level. This means that he wants to know us as individuals--that he wants to be loved by us as individuals. That he wants a relationship with us as individuals. But that relationship means that we have to both speak (through prayer) and listen (through all the ways that God talks with us). That, ultimately, is what a relationship is. A give and take; both speaking and listening. He wants our love and gives love in return. That's what a personal relationship is about. In my experience Christians often seem conflate relationship with an experience thereof. Certainly, I did for the longest time. However, I am not in a relationship with my son because we interact (that's the outworking of the relationship), but rather simply because it's a fact that he is my progeny. As a result, being in a personal relationship with Christ is a fact of my person being adopted into the family of God via the salvific outworking of my faith in Christ. Thus, being in a personal relationship is a fact and the result of my salvation. One manifestation of that relationship has been (in my experience) personal interactions with God. Another manifestation is a growing desire to be like Christ, my savior and model, in order to please my Father in heaven. Admittedly, "personal relationship" is a modern idiom. Even so, it's not that far from the gospel message. and that has implications for your life. Now, 2½ years after writing the above, I'd like to add (borrowing from other answers nearby): It's also an assertion that God is not an impersonal force, but rather has revealed himself to be someone with whom it is possible to have a relationship. When God created Adam, He created him in a relationship with Himself. He walked with him in the garden. When Adam sinned, that relationship was severed. The death that Adam died was not a passing out of existence but a divorce in his relationship with God. Jesus is the second Adam, the new man, the one who came to bring life were death had reigned. When Jesus called his disciples He invited them to "follow me". They ate with Him, traveled with Him, worked with Him, talked with Him -- they lived in relation with Him. When Jesus was preparing to leave, he prayed in John 17 for a special kind of relationship between God and those who had believed in Himself ... a relationship where He would live in us through the Spirit and that we would be "in Him". Through Jesus' calling and our faith in Him, all Christians are brought into this relationship. With the Holy Spirit dwelling in us we can speak to the Father through the Son as we are His children. I understanding that God expects us to show love for each other. In my opinion, when a Christian talks about their personal relationship with Jesus, they are basically saying that their salvation is between them and God and has nothing to do with other people. I don't find this personal relationship stuff in the Bible, thus it can only then be a tradition of man. And in fact, it does nullify the commandments. And when you chalk up your Christianity to just a relationship between you and Christ, you nullify this commandment. The personal relationship does not only exist between the Christian and Jesus Christ, but also between the Christian and God the Father. Christians may have a personal relationship with God because the Christian is adopted into God's very own family (Gal. 4:5-7; Rom. 8:14-17; Eph. 3:15). Just as you are familiar with your biological father, you can be familiar1 with God the Father and His Son. Of course, we must not believe that we can disrespect our heavenly Father, nor His Son to whom he has given all things (John 3:35), for just as we must respect our earthly father, likewise we must respect our heavenly Father and His Son, lest we receive His chastisement (Heb. 12:5-11). "I won't believe it unless I see the nail wounds in his hands, put my fingers into them, and place my hand into the wound in his side. Then he said to Thomas, “Put your finger here, and look at my hands. Put your hand into the wound in my side. Don’t be faithless any longer. Believe! So the Bible makes it very clear that Jesus wants us to have a personal relationship with him and that we have to follow the Apostles neither of whom was prepared to believe without a direct proof and personal interaction with Jesus. A good example of personal relationship is how God spoke lip-to-ear and walked the Earth with His prophets. He went to visit Abraham and set down for lunch with him. He even told Abraham, face to face, the business He was about to accomplish. It is written that Enoch walked with God. 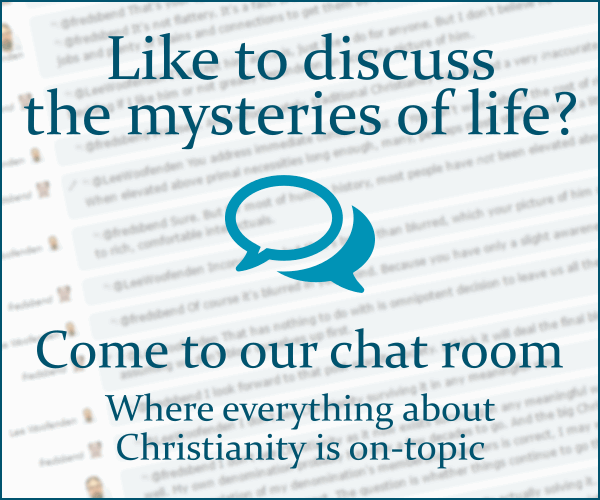 What do Christians mean by “Jesus took our illnesses upon himself on the cross” and why? What does it mean that Jesus was tempted in every way like us (yet without sin)? Why does Jesus feel only certain people that come into physical contact with Him? What did Jesus mean by “mustard seed of faith”? What does mean the fact of washing the feet of the disciple by Jesus?